Here are two very different picture books. Or are they? Both are picture books aimed at five years and older. Both contain glorious illustrations. Both utilise photography. Both tell an enchanting story. Both should appeal to girls with imagination. Both are books I yearn to read aloud to children (will somebody lend me a child until mine sprout grandchildren?). When I ventured into my 17-year-old daughter’s room and asked her if she remembered this picture book, my daughter smiled wistfully. It’s a favourite children’s book she’ll never forget. So what makes The Whales’ Song a haunting classic? 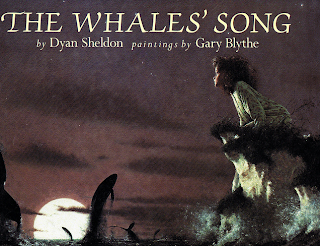 It’s a poignant tale about a young girl, Lilly, who is enthralled by her grandmother’s tales of whales. Patiently, Lilly waits by the ocean to hear her own whale song. The ending is likely to be too subtle for children under five. It’s mysterious and evokes quiet wonder in an older, thoughtful child. The award-winning illustrations are softly stunning. The paintings have a realistic, faraway quality that appears to be inspired by photographic images. Unforgettable. The cover of this pink picture book didn’t grab me. However, after a recommendation from a bookseller I took a peek inside and was beguiled. 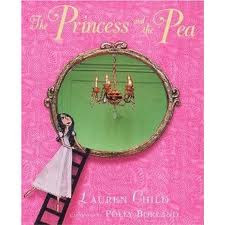 This modern retelling of The Princess and the Pea doesn’t try hard to be politically correct. Hey, romance is OK and we discover the key to true royalty is good manners. For me, it’s the theatrical illustrations that captivate. Paper cut-outs of the royal characters have been photographed within a real miniature world. Twigs become forests. 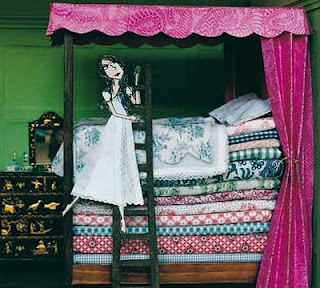 The shadow-filled castle is filled with adorable doll’s house furniture. I want to play with it! Published fifteen years apart, both picture books are still available and I hope they remain in print for many years to come.